This VIS image is located at the eastern end of Hephaestus Fossae. 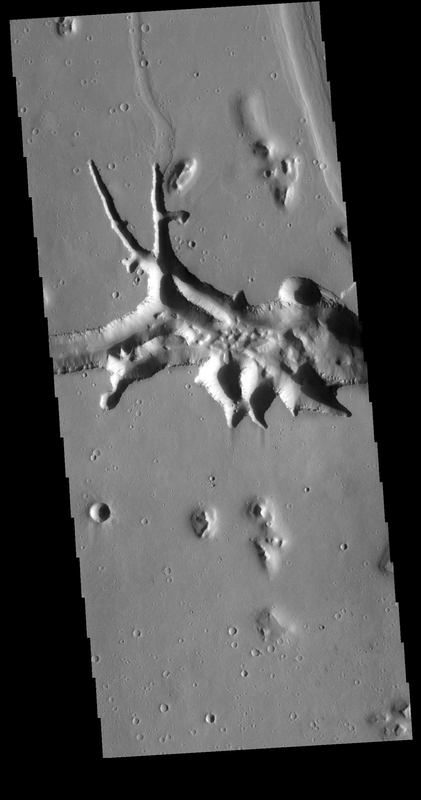 Hephaestus Fossae is a channel system in Utopia Planitia near Elysium Mons. It has been proposed that the channel formed by the release of melted subsurface ice during the impact event that created a large crater west of this image. The method of formation for this complex feature at end of the channel is still unknown.